After months of avoiding this crowded restaurant in Sawtelle, my friends called me yesterday to join them. 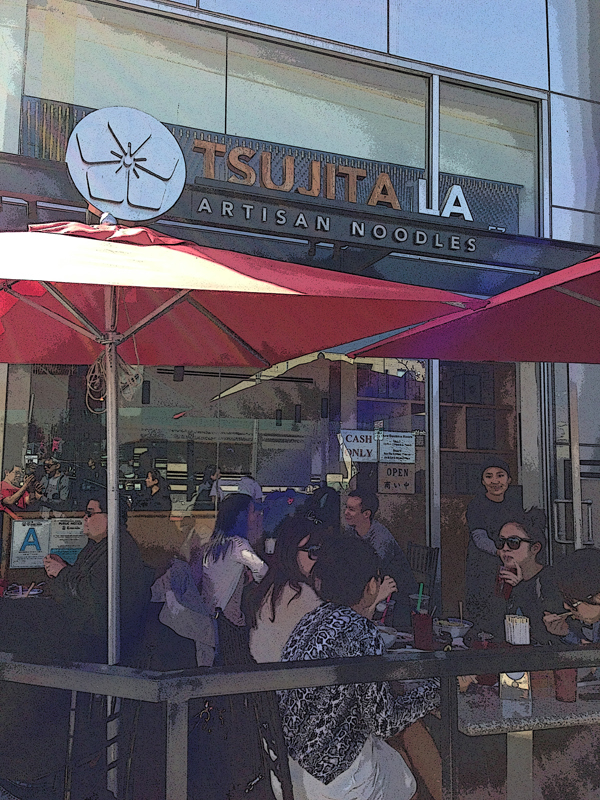 Less than 10 minutes later, seated at the bar, I waited anxiously for the much talked about “artisan” noodles and pork broth at Tsujita LA. The menu mentioned the pork broth is cooked for 60 hours, the noodles are only served during lunch and good only while they have it. 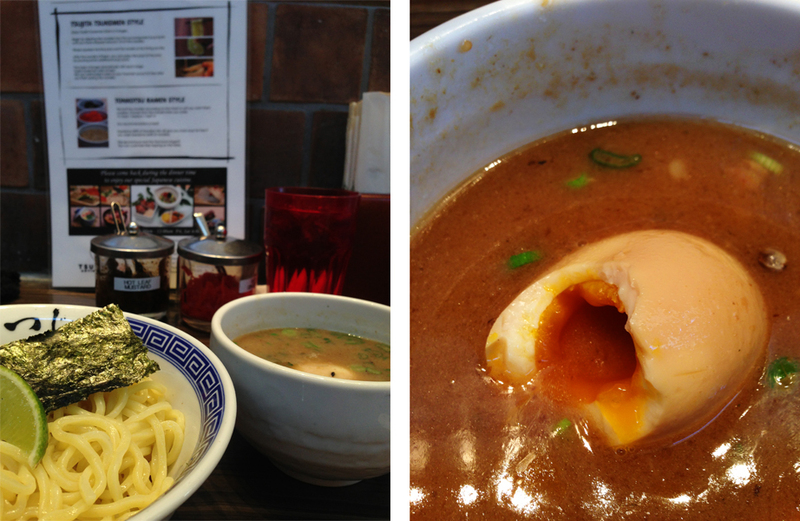 I ordered mine with egg @ $10.95, and as soon as I tasted it, the Tsukemen was worth way more than that! The tasty, rich, textured and complex broth, would be too much as a soup base, so dipping the noodles in the warm broth is the best way to enjoy this excellent dish. And don’t forget the egg! 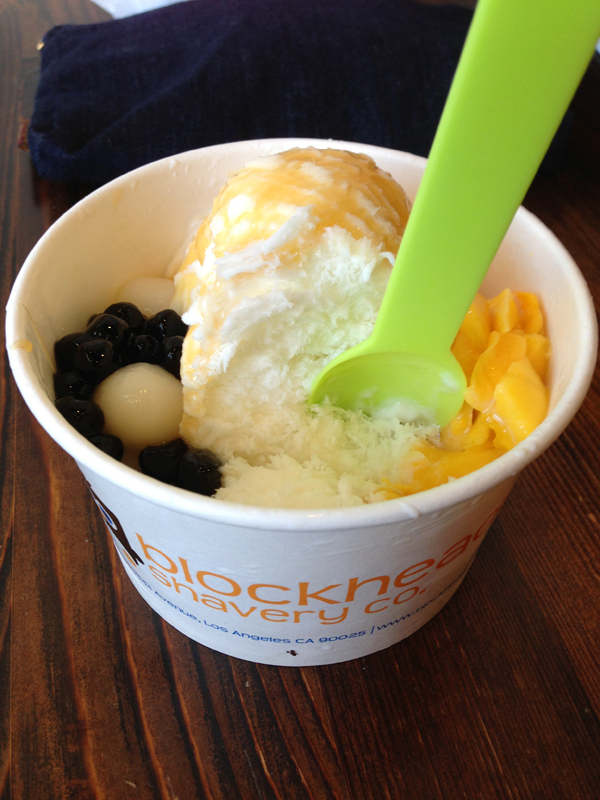 We didn’t waste our time in Sawtelle as we “headed” straight to Blockheads right after. Try rice cake and honey boba with condensed milk in any of their 5 “shaved ice” base for $4.50. This entry was posted in Happiness Under $20 and tagged eggs, food, ice cream, japanese, ramen, restaurant. Bookmark the permalink.